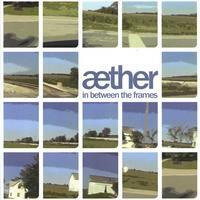 æther (pronounced 'ether' is a Columbus based indietronica quartet with a cinematic sound. Crafting sleek, moody sound-scapes over visceral beats, aether channels its noise pop and electronica sensibilities into a well-tempered torrent of sound. Cerebral and gutsy, introspective and explosive, the æther sound blends equal parts intensity and atmospherics. Originally a post rock instrumental group begun in July 2002, æther added vocals to the lineup late in 2005. Since then, the band has become more accessible without sacrificing its early days devoted to sonic landscapes and textures. Seemlessly weaving into the somber instrumental melodies, Pickering’s vocal quality brings to mind the breathiness and melancholic-tinged outcries of an early Bono, the desperate and questioning falsetto of a Morrissey, and the yearning neo-romantic phrasing of Radiohead’s Yorke. æther is Paul Carney (guitar, keys, samples), Aaron Pickering (vocals, keys), Miquel Stubbs (bass, farfisa), and Christian Volpe (drums, percussion, drum loops). The band has forged their signature hybrid sound of alternative rock meets electronica over the past three years with a steadily growing, world-wide fan base, with sales of their music to people around the globe. The band has drawn comparisons to My Bloody Valentine, Radiohead, The Stone Roses, and Mogwai. Highlights for æther’s previous three releases:• played on radio stations in the Midwest and West coast (USA), BBC Radio 6 (UK), as well as Spanish internet radio, and German radio. • received critical acclaim from music critics domestically and in Europe. • various tracks featured on compilations (cringe.com compilation 2004, Columbus Alive “Best of 2005” Compilation) and independent short films. (drummer of Smashing Pumpkins), and Stinking Lizavetta. • showcasing at MPMF 2005, MPMF 2006, MAMC 2005, MMC8 2004, MMC9 2005, the MCMC 2005, MCMC 2006, OSU Block Party Music Festival 2005 , and ComFest 2003. • touring throughout the Midwest over the past three years, focusing on Columbus, Cincinnati, Chicago, Cleveland, Detroit, Harrisburg, Kent, and Youngstown.· treating fans at live performances to video loops that are projected behind the band, collaged from footage that the band members have filmed and edited. For more information about æther, please visit aethersound.com, myspace.com/aethersound, and sonicbids.com/aether. Aether’s “Aethersound” is a mood-invoking collection of amazingly arranged Indielectronica tunes. From beginning to end, this album simply captivates. The guitar licks and drum arrangements are very catchy, and the band is tight. Moreover, the vocals on this CD are soothing, rich, and full of vibrant tone. Creative lyrics further add to the appeal of “Aethersound.” Perhaps most importantly, the production on this album is nothing short of amazing. It achieves the perfect balance between rich, captivating guitar tones and outstanding vocals, allowing every song to pull the listener into a trance. This is perfectly demonstrated in the atmospheric “Alabaster.” Simply put, this CD is joy and emotion wrapped up in the form of sound waves. It is a must-have for those who enjoy music that is full of strong attitude and high energy!